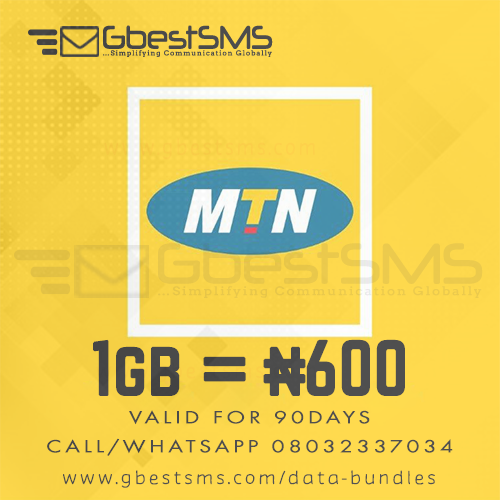 You can now buy MTN megabyte as low as ₦700 for 1GB to surf the internet. We buy directly from MTN in bulk and resell at a cheaper rate. 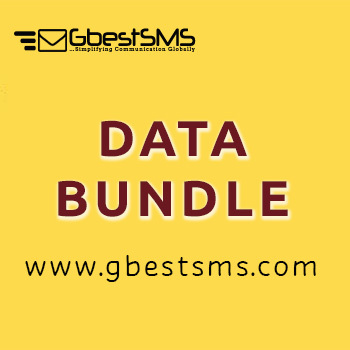 The Data bundle has a validity of 90days and is useable on all phone types (Blackberry, Android, Java, Windows and IOS) including laptops and iPads. Our Goal is to make sure an average Nigerian also have access to the internet. We provide data service for all data enabled devices. As part of our Mission to make data as cheap as possible, we offer Cheap Data on MTN network. GbestSMS does not sell Cheats so please don’t call us asking for cheats. Below are our data plans with prices. To check your Data Balance simply dial *461*2*3*2# or Send as text message "SHAREBALANCE" to 131. All data bundles are valid for 90 days. If you wish to pay for data bundle using recharge card, kindly text recharge card equivalent the amount of the data bundle you wish to buy and the phone number you wish to receive the data to 08032337034. After payment, kindly send as text message the following details. Amount paid, teller number, and phone number you wish to receive the data to 08032337034. We also accept Mobile Transfer, Internet Transfer, and ATM Transfer.